LSU is getting one of its starting tackles back at just the right time. 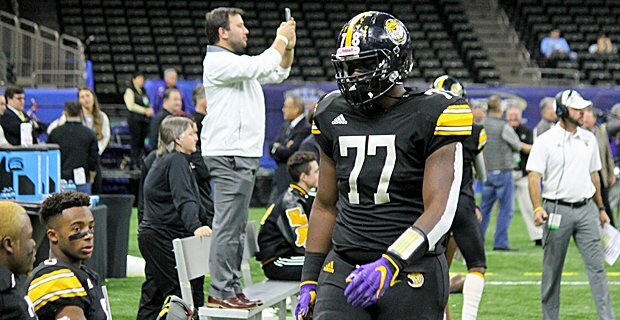 Right tackle Toby Weathersby will return to the starting lineup as LSU travels to Oxford this weekend to take on Ole Miss, LSU coach Ed Orgeron said, but reinforcements will be ready if and when the junior needs a breather. That task will fall to Adrian Magee, who started in Weathersby’s place as LSU defeated Auburn 27-23 on Saturday. It seems LSU is opting to return the versatile veteran to his jack-of-all-trades reserve role with Weathersby set to return. Weathersby returns during a week that Orgeron has challenged his team to be more productive in the running game as running back Derrius Guice gets closer to full speed. Ole Miss has yielded 238.5 rushing yards per game and 5.5 yards per carry this season. Weathersby is also an asset in pass protection against a defensive line that’s the far-and-away strength of a leaky Rebel defense. Marquis Haynes leads Ole Miss with 4.5 sacks this season. According to Pro Football Focus, Weathersby is the most effective tackle in the SEC in terms of pass protection, having allowed two pressures in 104 pass block snaps.